When you make your living selling, supplying or promoting someone else’s products or services, it can be a very profitable setup when done right. In today’s episode, get sharp tips on making the most of this model and achieving success in the business of selling online. 02:03 – What’s YOUR problem? 12:00 – What’s special about your market? James Schramko here, welcome back to SuperFastBusiness.com. Today’s tips are useful for sellers of online services. That means if you’re selling someone else’s product. It will also work if you’re an affiliate. That means you sell someone’s product for commission. But primarily these are ideas that I put together to help someone who is repackaging a raw material under your own brand and selling it, and invoicing the customer, and having the end customer relationship, and then using another person’s supply. That’s exactly what sellers do of SuperFastBusiness websites and SEO and article services. So put down some notes. The idea is if I go through this training, you will have a better chance of being a more profitable seller. So when you buy and supply other people’s products or services to paying customers, it can be a very profitable way of doing business. This is exactly how I started my SEO business. I actually ended up finding a contract supplier to supply all of the services and I built that as my first iteration of what was then called SEOPartner. These SEO services are still going right now at SuperFastBusiness.com except that over time, we did what we call vertically integrated the market, and brought our own team in to do the supply because we could get a better quality supply and in turn, we have generated a nice wholesale vendor supply so that other people can sell it. So we’ve moved up the business model. In the following list, there’s some tips that will help you make the most of this model. So first off, start with your own need. If you can find a valuable solution to one of your own problems, a solution that you can’t find elsewhere, chances are, other people will be willing to pay for it. I needed SEO for my own business so I started looking for suppliers, and when I found one that could supply, that’s how I was able to learn so much about the product. Because you’re going through all the research. You’re looking at the options in the market. You’re in the perfect position now to quickly help someone get to where you are without them having to do all of that research and legwork. And that’s what they’ll pay you a fee for. Next is your point of differentiation. You need to take a unique approach. Something that will set you apart and that jaded buyers will take notice of because there’s really poor supply out there. Especially in the field of SEO and website development. There are some horror stories of horrible supply. People taking shortcuts, doing tricky software automations. You don’t have to go to a site like Fiverr to find some very low quality providers. I’m not saying they all are but a lot of them are there and there’s nothing more than fake social likes scams, etc. So if you can find a unique approach that people really resonate with, if you can do something that is the first, or the most, or the best in the market, then find out what that is and tell your customers about it. And see where your competition fall short and see if you can offer it. In our case, with our SEO services, we’re 100% custom. We do everything by hand. And in an automated world where people are taking software shortcuts, that stands for a lot. It means that content is written by a human for a human, and that’s our point of differentiation. Buying is a value decision, it’s not just a price decision. Back when I was in the automotive trade, my boss used to say, “A good deal on the wrong car is not a good deal.” So we want to make a value decision. People are investing in themselves, not in you. So create an environment where they’ll clearly see themselves being better off for making their purchase. And what does this really mean to you? It means you don’t have to sell on price. You don’t have to be saying discounts. You don’t have to be talking about how you’re cheaper than the competitor because ultimately, what the customer wants is a good solution to their problem. And if your solution costs a little more, however the solution is the right solution, then it’s worth a lot more than the cheapest solution. I like John Ruskin’s quote, which is something along the lines of “It’s unwise to pay too little.” And he argues that if you’re going to pay the least amount possible, you should make a provision for things to go wrong because there’s not much that people can’t make for a little bit less or with a little bit less quality. If that’s the case, why don’t you take the margin that you provide for something to go wrong, add it to the last price and then pay a little bit more to get the right solution upfront? Next up is overcoming the fear of rejection. When you sell things, you can actually get so nervous that you’re bringing up objections on the customer’s behalf just to get you out of the sale. If you have a product that you know will help people, then stand by it. Be proud of it. Tell people about it. Be confident. In fact, you owe it to the customer to be able to help them solve their problem if you know the solution and if it’s a part of your business model. So there’s no need to be shy, or nervous, or timid when you’re contacting potential buyers. Be proud of what you sell. You can’t supply everything. You’ve got to stay close to your core, doing what you’re really good at and having less products or services can actually bring you more business and lessen the competition. If you only do one particular thing but you do it really well, then that opens up the market of other people; people who potentially might have been your competitors could now actually be your customers. Let me give an example. If you’re a one-stop shop offering websites, and SEO, and social media, and pay-per-click, then anyone who sells just that thing is technically a competitor. But if you only do websites or you only do SEO, if that’s how you just do websites, then all the SEO companies could potentially be customers for you. They could refer you their prospects. So think about specializing in just a few products. Also I’ll add to this, the more you have to customize something, the more difficult the business model will be. So if you can get repeatable processes, that’s really going to help you sell because you can sell packaged services or bundles, and this is a really effective way to sell. Be wary of tech-dumping or knowledge-dumping. This is where the customer are being dumped all the specifications and technical deliverables of your product. It’s where you’re talking jargon and specs. Not every customer is a spreadsheet buyer. They don’t want to know all the details. They want to know that you can solve their problem. And in some cases, they really don’t want to know the details. Just solve the problem. If they get the result they want, then work out the minimum things that you would have to dazzle them with when it comes to technical or product terms. I’m going to give you a really clear example. When you get in your car next time and drive somewhere, or the bus, or a train, or an airplane, I want you to think about how much do you really know about the technical specs of that vehicle? Is it really that important? When you buy a plane ticket to go from A to B, do you need to know about the turbines, or the width of the fuel of pipe, or what type of gears are in the wheel landing equipment? Not really. Because that’s not why you bought the ticket. You bought a ticket because you want to get somewhere. And so many salespeople fall into the trap of getting into all these technical descriptions, and micro-spreadsheeting the analysis. You’re actually educating the customer to value you on the wrong things. It’s irrelevant. Help them get a result. Ask for payment and get to work. Now reduce the need for education if possible. The more you have to tell somebody about what it is you do or the market you’re in, the more difficult it is. If you were to go back 9 years ago, when I started online, SEO and websites require a lot of education. And working with customers who know and understand what your product is about actually eliminates the need to spend a lot of time and energy getting them to appreciate its value. If someone just walks in today and says “I need a website and some SEO, I’d like that package on your site, here’s my credit card,” that is so much easier than having to educate them on why they even need it, what are the actual use, what are the benefits. So focus on working with people who get it. If you can sell to the same people over and over again, or groups of people who have the same needs over and over again, it’s much easier because you have a recurring relationship with that person. That’s why in my business, I tend to deal with repeat buyers because it just gets easier and easier the longer you have the relationship. We spend less time having to convince them that they need our stuff and all of our time just delivering their stuff. Next is adopt a consultative approach. You don’t want to be rushing in with solutions until you bother to find out what the situation is. If you can do a thorough diagnostic of your prospect situation and ask all the right questions, you’ve got a much bigger chance of prescribing the perfect solution to their problem. A lot like a doctor. Image if you go into the doctor and you say, “Hi doctor. So anyway..” and they say, “Here you go. Just take 3 of these.” “But I haven’t even told you what’s wrong.” “It doesn’t matter. Just take 3 of these.” You wouldn’t have the confidence that they really understand your concern. So what you need to do is some kind of gap analysis. Figure out where the customer is at, and figure out from your questions what they would like and then find the right solution within your repertoire to solve that. And if you don’t have the right solution or it’s not the right customer for you, that’s the point where you say goodbye. Don’t waste time on the wrong customers. In our business, we do a website check for $20. And that website check is a thorough diagnostic of a potential client site. Now our sellers sell that for $200. And they do a sit down or a telephone call with the client to explain their website. What the backlinks look like, the anchor text, the meta tags, the descriptions, the text-to-image ratio, the alt attributes for the images. And then, they can prescribe the right SEO package knowing that it is going to solve the problem. And that’s great value for the customer. It’s good business practice. You should only ever work with the right customers. It might sound counterintuitive, but you shouldn’t work with everyone. You can’t please everyone. And the process of qualifying your prospects or disqualifying the wrong people will ensure that your customers get the full benefit of your products and services. Only working with the right people means you’re always getting great results, which builds your reputation and creates word of mouth referrals. So be very, very certain that you only work with people who you know you can help. When you get the wrong prospect, reject them because you are going to regret compromising your filters or your standards. Know and adapt to the culture of your target market. Buyers from some countries are more discerning than others when making purchases. Our marketing strategy that sells locally might not do as well in another country. So be observant and do your research. If you don’t already travel, I recommend you take the time to do so. It will really open up your world. A customer in the UK is different to a customer in Australia, and is different to a customer in the United States. So figure out what’s special about your market and tailor your message to that market because when you can get that sweet spot, you’ll attract the right customers. I suggest you put little country flags on the major markets you really want to penetrate because those little country flags will help your customers identify that you are the right company for them. Get real value from this podcast. What I’d like you to do now as an action step is to choose an item from this list and take some serious action on it. I would love it if you make a comment. I always appreciate reviews in iTunes. 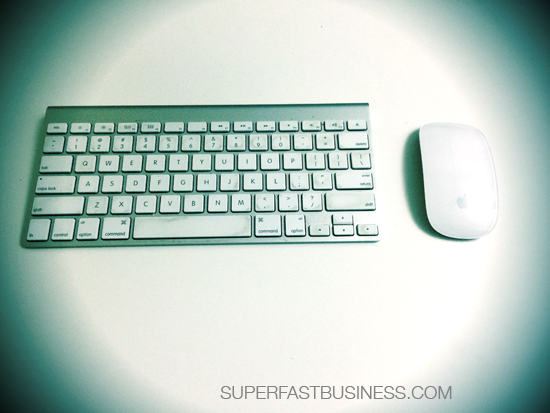 SuperFastBusiness puts out a lot of good content and my goal is to help you grow your business more profitably. Of course I’d love you to experience our services and our products anytime you can. I’m James Schramko. Thanks for putting up with a slightly croaky voice, but I’m back into the podcasting this week. I really appreciate you spending the time with me. Talk about it: Which of these pointers resonates most with you? A German installing my internet told me that one time. You get what you pay for. I am constantly reminded of that. I think I finally learned my lesson. Great episode! I am going to revamp how I qualify (and disqualify) potential clients. A big part, for me, is getting more leads coming into my business for the middle man model. When I have a lot of leads, I find that it’s easier to say “no” to potential clients who are a bad fit – because I know I have more options.